Over his nearly 15 years in the nation’s capital, Steven Portnoy has brought listeners to presidential inaugurals, political conventions, State of the Union addresses and Supreme Court oral arguments. He has reported from every major dateline in Washington, including Capitol Hill and the Pentagon, and now covers the Trump administration from the second row of the White House briefing room. In 2016, Portnoy was one of CBS News Radio’s lead reporters on the campaign trail, covering the tumultuous race for the presidency and the tussle over congressional control. The year before, he had a close-up view of the leadership turmoil that rocked the House of Representatives, and a front-row seat for the Pope’s address to a joint meeting of Congress. Prior to joining CBS News in February of 2015, Portnoy served as a radio correspondent for ABC News. He anchored ABC Radio’s coverage of the death of Osama bin Laden, coverage that earned that network an Edward R. Murrow Award for Breaking News. He also contributed to ABC’s Murrow-award-winning coverage of the Boston Marathon bombings in 2013 and the Virginia Tech massacre in 2007. While he specializes in political coverage, Portnoy has extensive experience reporting on disasters at home and abroad, including Hurricanes Katrina, Ike, Isabel and Sandy. He filed amidst the rubble after the 2010 earthquake in Haiti; from Joplin, Missouri in the aftermath of the deadly tornado in 2011; and from Moore, Oklahoma after the devastating storms there in 2013. He also traveled to Ferguson, Missouri and Baltimore after the riots in both cities. 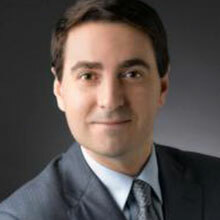 Steven Portnoy began his career in network news as an intern for the White House Unit of ABC’s “World News Tonight with Peter Jennings.” He spent three years covering local news in Washington at the network’s owned radio station, WMAL-AM, before becoming an ABC News Radio correspondent in 2006. In 2008, Portnoy was named a Peter Jennings Fellow by the National Constitution Center. He was honored with the Bayliss Horizon Award by the John Bayliss Broadcast Foundation in 2005, and took first place in the radio competition at the Hearst Broadcast News Championships in 2001. Portnoy started in journalism as a reporter for WSYR-AM in Syracuse while he was a student at the S.I. Newhouse School of Public Communications at Syracuse University. During that time, he also produced television newscasts at WIXT-TV (now WSYR-TV) and WSTM-TV.